The retreat is set on 7 acres of land overlooking the Connecticut River. There will be plenty of outdoor spaces for moving, creating sound, or finding inspiration in nature. The Embodied Artist (June 25-30) Get into your body with a three-hour embodiment training every morning, make your art every afternoon, with the option to share in the evenings. The Embodied Artist + Self Led Artist Residency Combo (June 25-July 7) Get into your body with the Embodied Artist and stay for a second week to dive deep into your creative practice. 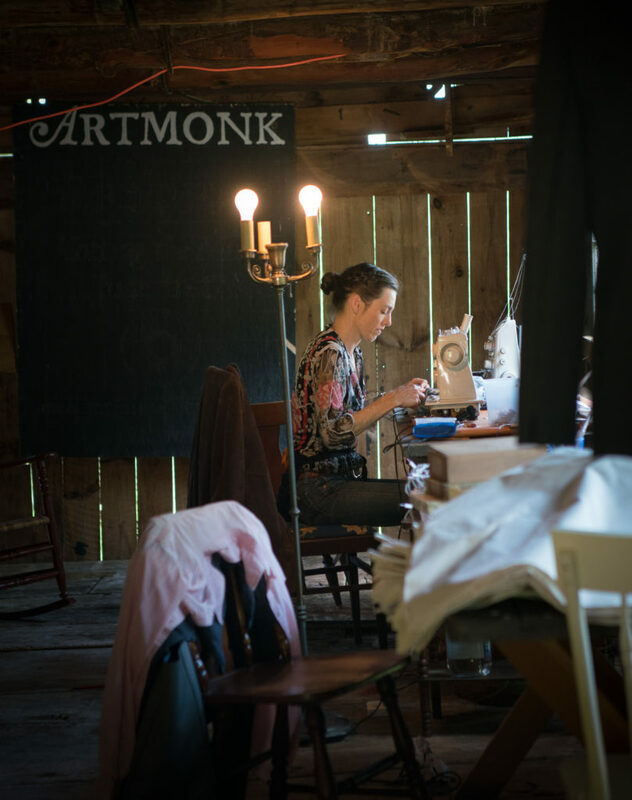 Artmonk Retreat + Silent Art Residency Combo (July 16-28) Sink deeply into contemplation with the support and structure of the Artmonk Retreat and stay for a second week of artmaking in a more open but still silent container. Silent Art Residency (July 23-28) Meditate & sing every morning & evening, with the rest of the day open for your self led artmaking in an intimate container. Whether you are in your creative stride or rejuvenating your creative path, this week offers you the opportunity to develop your work within a contemplative container and, with the support of an intimate like-minded community of creatives, accomplish more than you thought possible. The Art Monastery hosts visiting artists of all disciplines. Work spaces are available for soundmaking and for quiet, for visual art and dance/theater movement, in addition to the excellent outdoor landscape of our Vermont location. Artistic feedback and contemplative support is available in one-on-one meetings with the Core Team, as well as group shares at the end of the week. These rates include three delicious meals per day and housing in a shared bedroom for one week. Enjoy $100 discount when you register and pay in full six weeks before your residency begins. Enjoy $100 discount when you combine the Artmonk Retreat with the Silent Art Residency or the Embodied Artist with a week of self led Artist Residency. Receive $50 discount for you and a friend when you refer to each other on the registration form (sent to you after you complete the application and are offered a residency). Receive $50 discount when you sleep in a tent. We have a couple of tent platforms and tent available by request. There’s space inside for you to store some things. You may combine the above discounts for a total of $300 off.